When Michael Jordan returned to basketball after a three-year layoff, it was as if the “His Airness” didn’t miss a beat. Even at age 38, Jordan still found a way to dominate on the hardwood, averaging 22.9 points during the 2001-02 season. 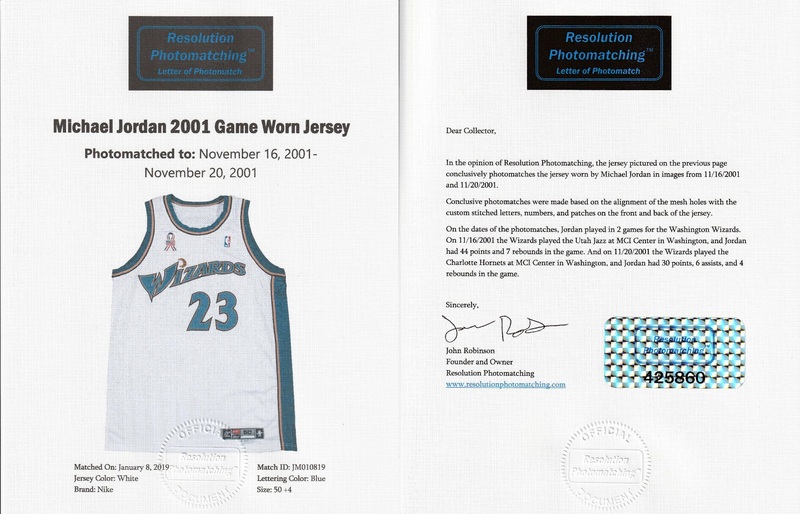 Jordan wore this Washington Wizards home jersey during back-to-back games in the early part of the 2001-02 season. In the November 16, 2001 game, Jordan led all scorers with 44 points in visiting Utah Jazz’s 101-92 victory. The following game on November 20th saw Jordan lead the Wizards in scoring with 30 points as the Washington’s fell 95-88 the Charlotte Hornets. 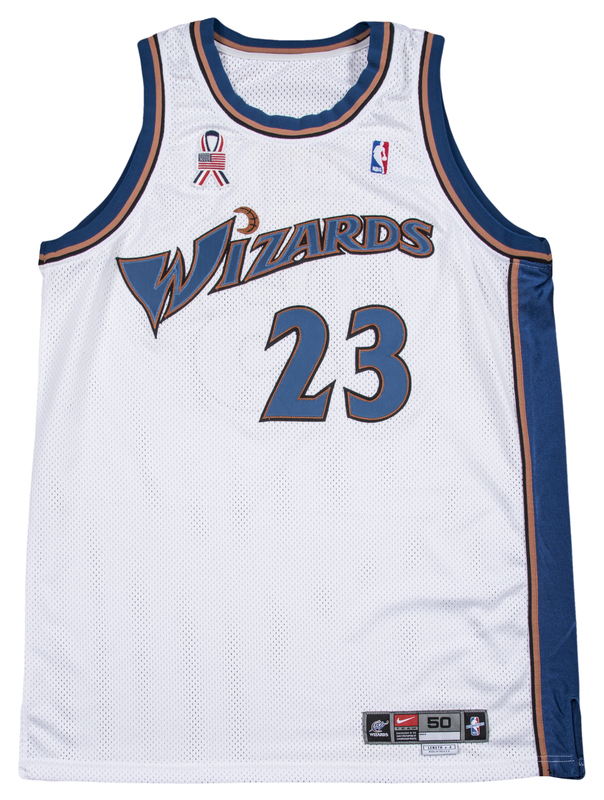 This offered jersey features a red, white and blue ribbon and American flag patch, commemorating the events of September 11th, 2001. 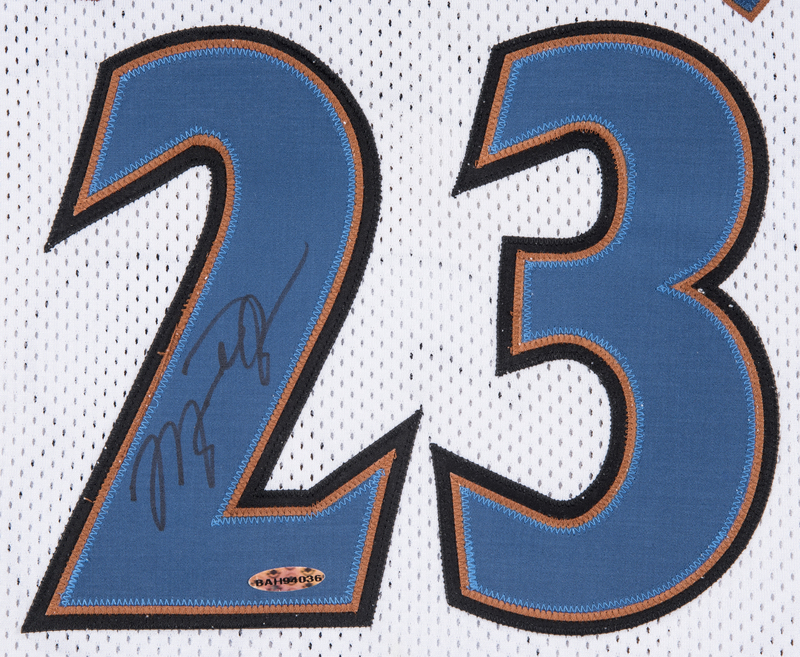 “WIZARDS” appears across the chest in blue on brown-and-black tackle twill, with “JORDAN” across the back in blue-on-brown tackle twill. 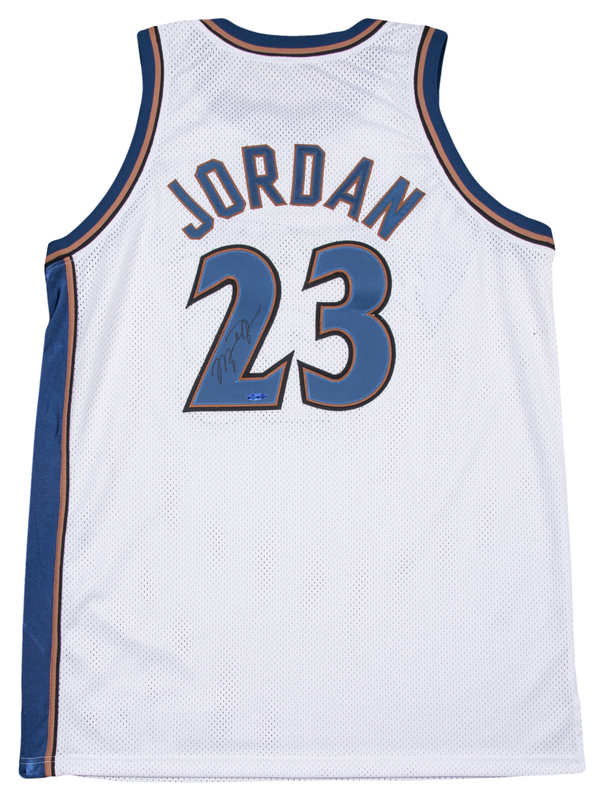 Jordan’s famed number “23” is found on both sides of the jersey in blue on brown-and-black tackle twill. 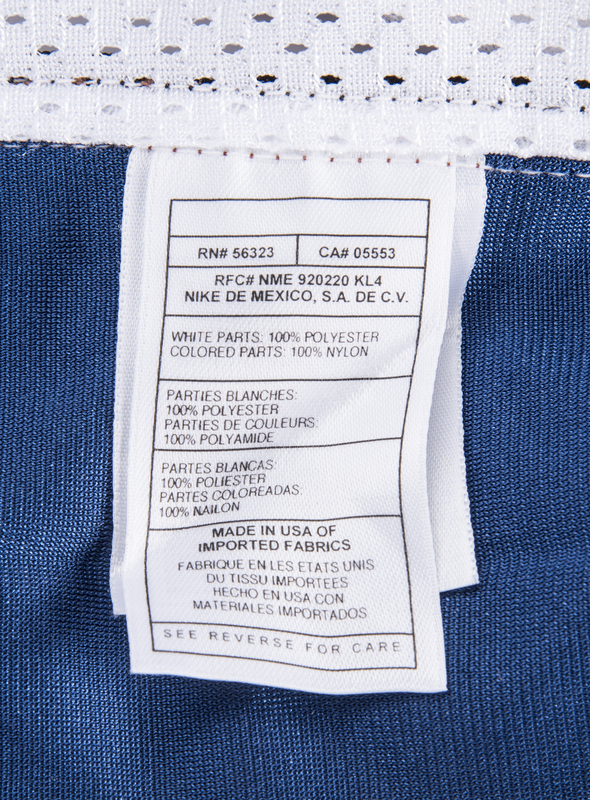 The front tail of the jersey features a “Nike” manufacturer’s tag, size 50, and boasts an affixed “LENGTH +4” tag indicating size modifications, which are consistent with Jordan gamers. 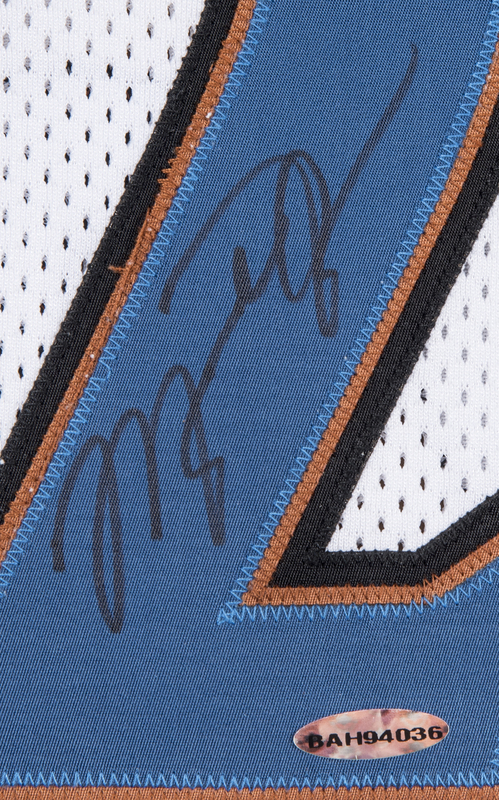 Jordan has signed his name in black marker diagonally on the “2” on the back of the jersey. 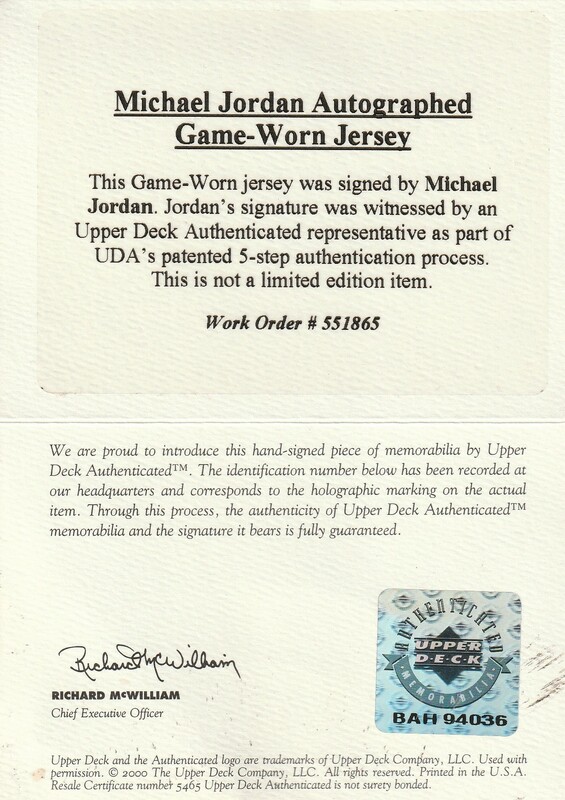 This jersey comes with a COA from Upper Deck Authentication (BAH94036) for the game use and signature authentication. Additionally, there is a LOA from Resolution Photomatching (425860), who have photo matched this jersey to the November 16th and November 20th games.